Scoliosis Pain is Treatable with our Breakthrough Spine Technology. Opt for the best non-surgical scoliosis pain relief treatment in Malaysia. Generally speaking, scoliosis does not cause pain in the early stages. However, scoliosis pain and symptoms become prominent once the scoliotic curve progress beyond a 30-degree curve. Early detection and appropriate care is key to avoiding painful scoliotic conditions. Our clinical teams of physiotherapists and chiropractors in Malaysia offer the best comprehensive means of treatment for asymptomatic (painless) and symptomatic scoliotic conditions. 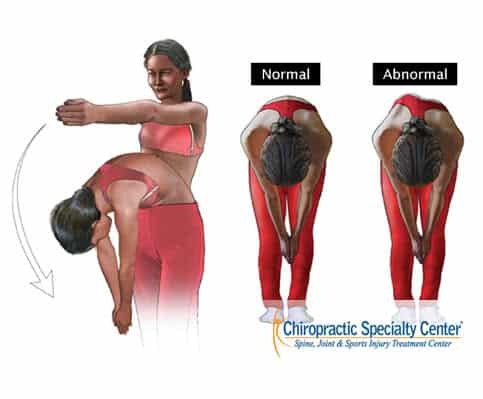 In addition to the 30-degree rule, scoliosis pain such as back pain and neck pain can result when scoliotic curves progress faster than the adaptative abilities of your body. Visit our clinical teams of Chiropractors and Physiotherapists today and learn more about what you can do for faster results and recovery. Before we discuss scoliosis pain and symptoms, let’s review some basic information of scoliosis. The most common type of scoliosis is adolescent idiopathic scoliosis, and it affects teenagers from the ages of 10 to 17, during their growth spurt. Adolescent scoliosis is more common in girls than boys. Mild scoliotic curves often go unnoticed to the untrained eye. However, in time the curve progresses. Increased scoliotic curves can become quite painful. Often, the family members, relatives, friends, or the healthcare team in school who does a health screening on the kids first detect scoliosis. Typically the first signs that are detected are when the kid’s clothes hang on the shoulders unevenly with one side higher than another, or when the trousers/dress sit on the pelvis asymmetrically. Parents may also notice the sideways curvature when the kid is changing or when they wear tight-fitted clothing, for example, a swimming suit. Unfortunately, many scoliosis cases are only detected when the curvature is more than 30 degrees, which falls under the moderate category of scoliosis. This can be very dangerous to the kid if he or she is still actively growing. Hence, it is important for parents or guardians to watch out for the signs and symptoms in their children (age 10–17) before it gets worse. If the curvature is at a mild to moderate stage, there is still a high chance of stopping the curve from progressing while the kid is still growing. Scoliosis curvature with a degree of 60 or more is at risk of experiencing more serious symptoms that can even be life-threatening. We do not recommend surgical procedures for scoliosis patients who have a curvature of 60 and below. Surgery for scoliosis involves spinal fusion. Scoliosis surgery should be the last option as there is the potential for complications, infections, and instrumentation failures. Besides, various studies have reported a poor long-term outlook on the surgical intervention of the scoliotic patient. We highly recommend scoliosis patients try conservative scoliosis treatments and exercise first before thinking about surgery. Our treatment methods for scoliosis are highly specific and advanced. We combine chiropractic, physiotherapy, and advanced technology to treat scoliosis patients. On top of that, we focus on particular exercising programs to encourage the proper stretching and strengthening of the surrounding spine muscles. To conclude, scoliosis pain is common and easily treatable through our breakthrough methods and technology.